The Metallik Resonator Speaker is inspired from the Resonateurs Métalliques series created by Martenot. The AUDIO IN accepts any LINE signal. 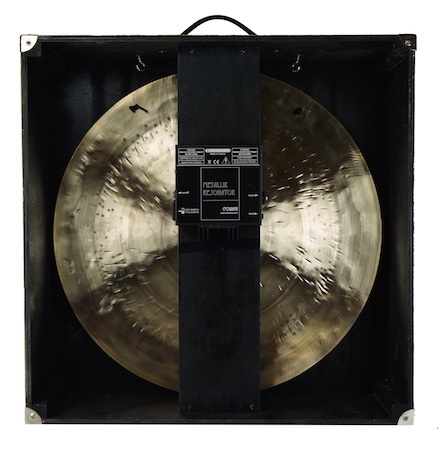 The sound is amplified through the tam, which behaves like a loud speaker, giving the sound a new dimension. The size of the tam has an impact on the amplification. Smaller tams will give less low frequencies therefore the bigger the tam is, the more low frequencies are generated and give a deeper sound. 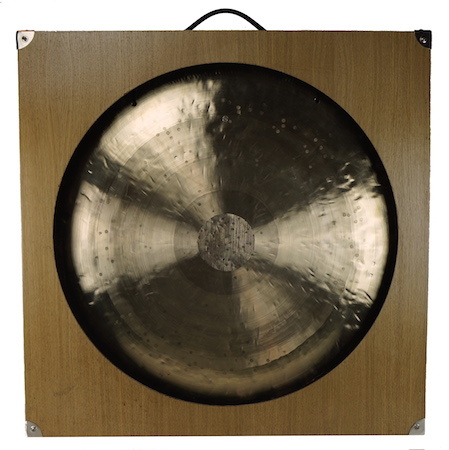 Metallik Resonator speakers are made on demand. They are delivered in a wooden case covered with a sturdy handle.